BLUE. Sorry about the radio silence guys! My family is currently in town and rediscovering the city with them has been so much fun (even though my feet are absolutely dead from all the walking). Anyway, found these pictures from our trip to London that I had forgotten to post. The blue coat from Malene Birger is a new favorite that I’ve been wearing a lot lately, love the wide lapels + boyfriend fit! COAT By Malene Birger. 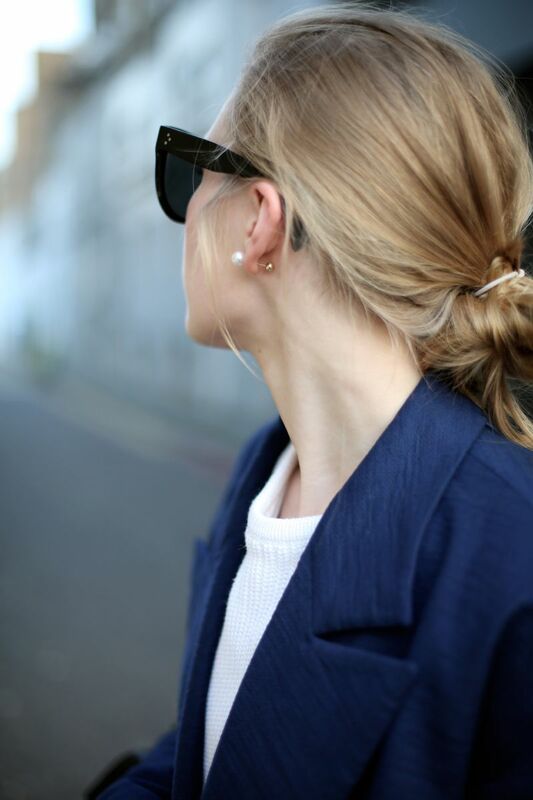 PEARL EARRING Sophie Bille Brahe. KNIT Filippa K. JEANSJ Brand. BOOTS Emerson Fry. BAG Proenza Schouler. SUNGLASSES Céline.